I am not asking you to give up all of the I. You should give up only the "unripe I." the "unripe I" makes one feel: "I am the doer, these are my wife and children. I am a teacher." Renounce this "unripe I" and keep the "ripe I" which will make you feel that you are God's servant, His devotee, and that God is the doer and you are His instrument. "I received initiation and instruction from the Sufi Master Govinda Rai. He transmitted to my heart the beautiful Divine Name Allah, which I then repeated with every breath. I visited the small mosque behind the Temple Garden, learnign to make the Call to Prayer and to perform namaz, the graceful cycle of prostration and praise offered by devout Muslims five times every day. My practice of Islam was crowned by a vision of the noble Prophet Muhammad - a robed, dignified, bearded figure of supreme sanctity - who merged intimately with my being, pervading my body with rose fragrance and lifting my awareness into union with him and then into mystic union with Allah Most High. It was precisely the same profound samadhi attained along the paths of Veda and Tantra. Muslims call it fana. During this brief but intense period of Islamic sadhana, I enjoyed Muslim dishes and wore Muslim clothes. I removed the pictures of Hindu deities from my room and constantly chanted verses in Arabic from the Holy Quran. One afternoon, while returning from a visit to Mother Kali at Kalighat, the carriage was moving slowly through the crowd before the Grand Mosque at Geratala. Through the open courtyard I glimpsed a Muslim sage crying out with palms up raised: "O Allah, O Supreme Beloved, please come! please come!" I leaped from the moving vehicle, raced madly into the mosque, and tearfully greeted this noble Sufi. We held each other in a long embrace. The Sufis follow the way of prema, a love so intense that it melts and dissolves the entire being. with the nectar of prema. and offer it to all humanity." 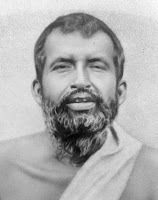 Great Swan is a dramatic retelling, for contemporary Westerners, of a series of encounters with the great Bengali sage Ramakrishna (1836-1886), who proclaimed the oneness of all religions and the worship of the blissful Divine Mother. Lex Hixon, who held joint scholarship in several sacred worlds - Advaita Vedanta, Islamic Sufism, Vajrayana Buddhism, Eastern Orthodox Christianity, and Soto Zen - did a wonderful job in this book bringing the beautiful life and spiritual experiences of one of the greatest mystic. Above is an excerpt from the Book where Ramakrishna shares his experience of Islam. + What is Fana, What is Baqa?